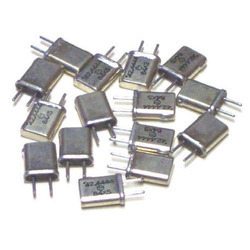 Prominent & Leading Wholesaler from Mumbai, we offer electronic crystals, two-pin crystal oscillator and crystals oscillators. 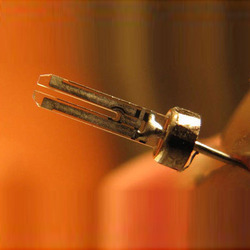 Our organization is well-recognized for offering a broad range of Electronic Crystals. These crystals are sourced by our procuring agents only from authorized vendors in order ensure quality. At our vendors' end, these are designed and manufactured with experts using ultra grade components. These high reliable and comply with the international quality standards. The Two-Pin Crystal Oscillator, offered by us within affordable price range, is used to store the electrical energy for longer time period. This product is acclaimed by the clients' for its high tenacity and ability to efficiently store the electric energy. Our organization is enriched with highly adroit quality auditors who tested this crystal on various parameters in order to ensure its quality as per the international norms. With the dedicated efforts of our diligent professionals, we have been able to offer a wide range of Oscillators Crystals to our esteemed clients. We sourced these crystals from leading manufacturers of the electronics products. Our vendors manufactured these products implementing advanced technologies. Moreover, we are offering these within affordable price range.